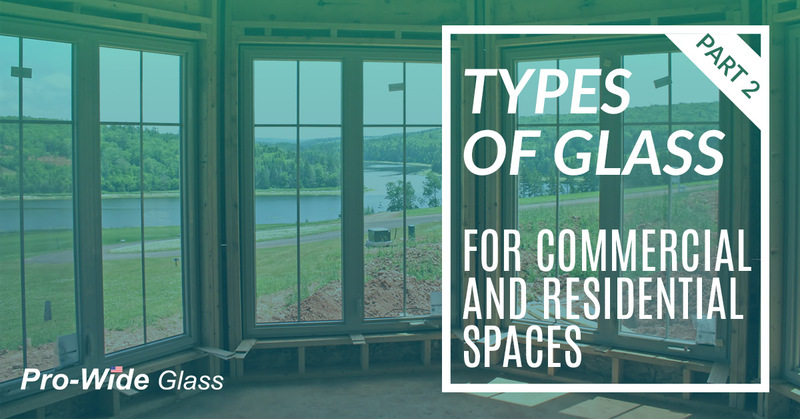 In the previous post, we talked about five different types of glass that can be used in both residential and commercial spaces. For a unique and modern look in your office or home, Pro-Wide Glass can be your resource for all things glass. Along with auto glass repair, we can help you with repairing glass in your home, including windows, tables, sliding doors, and more, as well as commercial glass repair, installation, and we can even help you with designing a custom glass project. With us, you know that you’re getting a team of professional and experienced installers and designers. This is the most common type of glass used in residential spaces as it lets in 80 to 90 percent of light. It can have a slight green or blue hue to it due to iron oxides in the material. This type of glass can be used for typical surfaces like windows and sliding doors, but can also be used in other, more creative ways, like glass vases, doorknobs, chandeliers, or dishes. Pro-Wide Glass loves clear glass because it allows us to utilize our creative sides. Similar to safety glass, security glass offers a tougher surface and is engineered to hold together when you need it to most. While you may think this type of glass can only be used in commercial spaces, it’s a great option for home coffee tables. A strong and sturdy coffee table can stand up to chips or breaks if something were to fall on it. 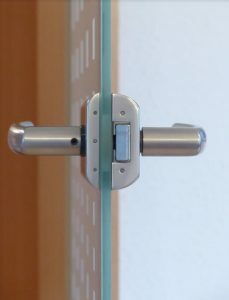 Security glass is also a smart choice for jewelry cases and shop windows or doors, and can even be used for a staircase. We hope it never happens, but it’s even strong enough to hold up against bullets. Just like it sounds, this type of glass has properties that allow it to prevent noise from coming through. This is done through a double glazed arrangement that has an inner layer that helps to weaken and absorb the noise. 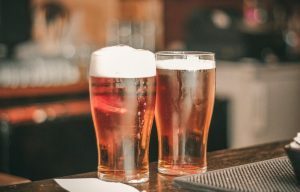 As you can imagine, this type of glass is commonly used in music studios, but can also be used for hospitals, libraries, apartment buildings, and in many other commercial spaces like offices and conference rooms. Just like you would use energy efficient windows, you want the glass in the frame to keep heat out of a space too. This type of glass can keep heat in during the winter and can help keep heat out during the summer. If you want to save up to 20 percent on your utility bill, install energy-efficient glass in your storefront facade, windows, and sliding doors. At Pro-Wide Glass, we love exploring the different types of glass and how we can best use glass for your space. Whether you need a new shower door, energy-efficient windows, a privacy wall in your office, or a hallway with green glass, we can do it all. And if anything happens to the glass, we’re also your source for residential and commercial glass repair. Make a statement in your home or office with high-quality glass and with our commercial glass repair, you can make sure the job is done quickly and efficiently.